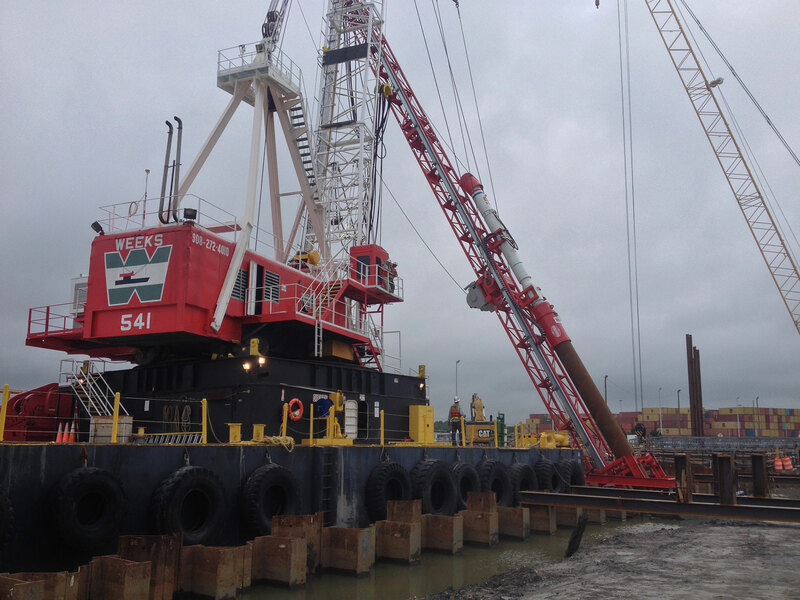 GeoQuip was the primary pile-driving equipment provider for SKW Constructors, a joint venture of Skanska, Kiewit Construction, and Weeks Marine that built the new Midtown Tunnel between Portsmouth, VA and Norfolk, VA. In total, we supplied SKW with six vibratory hammers, HPSI models 500/300/250/80E, three Dawson impact hammers 6500 and 4500, IHC Hydrohammers S130 and S150, an HPSI H35VT hydraulic auger, and a D62 diesel hammer. As the major supplier of pile hammers for SKW Constructors, our service department, machine shop and fabrication capabilities were able to help SKW Constructors keep their pile driving on schedule and ultimately complete construction of the new tunnel four months ahead of schedule. This truly was a mega project for Virginia and we are proud to have been a key a part of it. Walsh Group/Archer Western Construction: South Capitol Bridge-Washington, D.C.